The capital of El Salvador nestles comfortably in a valley surrounded by volcanoes. The financial and cultural hub of the country cares not of the danger of being situated on a fault line – many earthquakes have hit the region, but unperturbed, if things get really bad the government temporarily moves the capital until harmony has been restored, as they did in 1917. The most recent earthquake was in 2001, but tropical storms and hurricanes have hit the region since. The silver lining is of course that, much like the residents of San Francisco, the topographical reminders of disaster mean that when times are good, they are very good, and aside from a couple of districts to the east of the city this is a warm, friendly and inviting place to visit. There are many museums to frequent in the city. The most popular are Museo Nacional de Antropología de El Salvador, which reflects the country’s history and future in archaeology and anthropology, and Museo de Arte El Salvador, which has a huge collection of sculptures and paintings from local and foreign artists, and is free for entry on Sundays. If you have children, do not miss the Tin Marin Museo de los Niños, whose numerous exhibits promote learning through fun and experimentation. Experience local plant and animal life in style and peace at Jardín Botánico La Laguna, a beautiful garden at the bottom of a volcanic crater which provides a sense of wonder and tranquillity matched only by Iglesia El Rosario – a 1971 church which doesn’t appear much from outside, but the interior houses a huge arched roof which projects a full spectrum of natural light across the pews. The effect is best observed in early morning or late afternoon. San Salvador is also ideally placed for day trips out of the city. For hikers, the El Boquerón national park offers stunning views of the volcano, city and lakes. The eerie hillside district of Los Planes de Renderos, the site of many an execution, also has fantastic views of the city and is famous for ‘Devil’s Door’, two huge boulders which dominate the skyline. Art lovers can visit the nearby village of Panchimalco, a haven for leading national artists and their galleries. 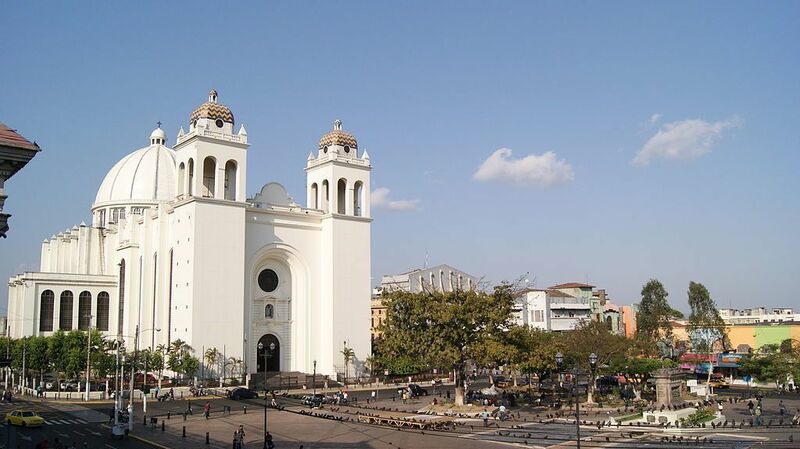 No trip to San Salvador would be complete without a guided tour of the city, and best of all, they are free! The most popular free tour in San Salvador is a fantastic way to meet new people and discover the city at the hands of a local. The tour is at least 2 hours long. Sights include the National Palace, San Salvador Cathedral, Iglesia El Rosario, Mercado Excuarte and the National Theatre. Booking ahead is required and you can do so via the link on the website or by emailing [email protected]. 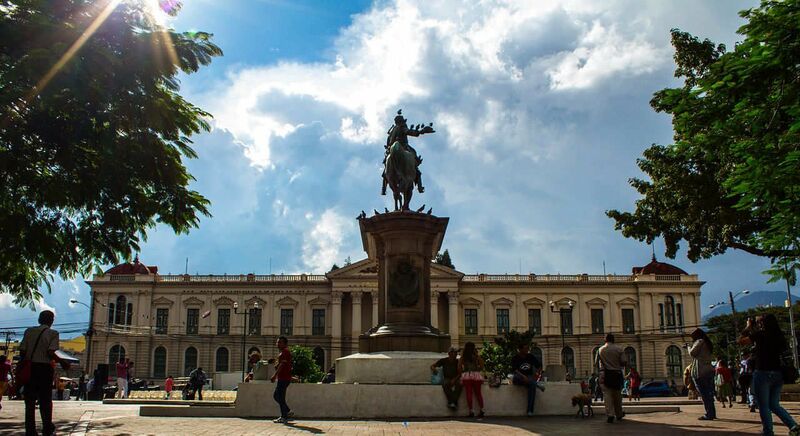 This self-guided 3 hour long tour covers 8 of the most popular sights in the city, beginning at Parque Libertad and moving west and north through the city, ending at Plaza Robert Baden Powell. As it is a self-guided tour there are no scheduling limitations, and you are free to spend as much time exploring the stops as you wish! The route can be downloaded for use offline via the ‘GPSmyCity: Walks and Articles with Offline Maps’ app. This self-guided tour will take you round some of the finest churches in the city. 3 hours long, it begins at Basilica Sagrado Corazon and ends at Iglesia Maria Auxiliadora. If you haven’t quite had your fill, check out Religious Sights of San Salvador Part 2. Both these routes can be downloaded for use offline via the ‘GPSmyCity: Walks and Articles with Offline Maps’ app. Below you can find more popular (but not free) activities and tours in San Salvador. Are you from San Salvador and want to be a tour guide? Please get in touch by submitting your details on this page!